Achieving better health is easier than one might assume. There are small changes that can be made to your daily habits. The job doesn't not contribute more to poor health than our choices to. We have to stop claiming that trucking makes you gain weight and prone to diseases. That gives us a pass on taking responsibility. So think about the reality that you want for your future. Turn that into goals. Base your choices on those desired outcomes. I learned that I had to stop drinking the energy drinks and juices (Juice is full of sugar just like soda and energy drinks) as a daily habit. I had to stop consuming hot dogs and pizza almost daily. I had to cut out the doughnuts and get more exercise. That created positive change. I was still trucking so obviously trucking was not the problem! The problem was my choices. And realizing that was powerful for me. As it will be for anyone who actually wants to take control of his/her health. Ten years from now, do you want to be sickly? Do you want be out of shape? Do you want limited mobility? How about a future of chronic disease? High blood pressure? Diabetes? Osteoarthritis? Lung Disease? With today's rules, you won't even be able to remain trucking if you allow your health to deteriorate beyond a certain point. Ignoring your health today could have long lasting negative consequences. Here 10 potential consequences of not taking better care of yourself. Much like a car operates more efficiently with regular tune ups our bodies operate more efficiently with proper maintenance too. Cheap oil or improper weight will increase wear on the car's engine. No oil will destroy it. Poor food choices will not provide the nutrients our body needs to fight disease or heal from injuries or heal from infections. Over consumption of junk or the absence of nutritious food altogether will cause your body operate like a car with no oil, it's just a matter of time before failure will occur. So, stop playing and get healthy! Make better choices each day, soon it will be a habit. Can You Get Exercise as a Trucker Over the Road? Yes You Can. Did you know that walking around your truck and trailer 32 times is a mile? Now you do. We all face the challenge of sticking to a good diet. 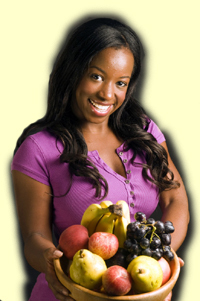 Really all we have to do for motivation is think of the real benefits of maintaining a good healthy diet. Make a list of them. That will charge you up! More energy, lower blood pressure, lower cholesterol, graceful aging, stronger immune system, cheaper healthcare bills, the list goes on and on. Not being intentional about our eating choices usually leads to obesity. Obesity leads to or greatly increases the chances of many health problems including but not limited to diabetes, arthritis, osteoporosis, stroke, heart disease, Sleep apnea, etc. Check out this video to get healthy eating tips and hear how I made myself make better eating choices. You can save money and eat healthy over the road. I did it and lost about 50lbs total, 35lbs without much exercise at all simply by changing my eating habits. Have something to contribute about this subject?